Following our blog post on transportation in China, Josiah, our staff that went down to China for a trip, shall introduce to you some of the local delicacies in China. Having grown up in Singapore and worked in Hong Kong for quite a while, our staff had his fair share of Chinese culture and also the food. 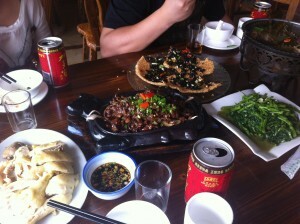 However, being in China and tasting authentic dishes was still a really eye opening experience for him. During the factory visits, the factory sent their representative to bring our staff around. This included bringing him around for meals as the Chinese usually make use of this time to strengthen business relations. This is an important culture to take note. 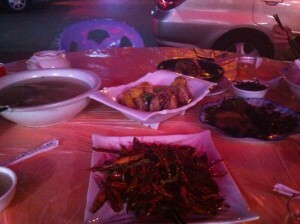 Next, while in Xiamen, Josiah experienced the another flavour of authentic Chinese food. The dishes that he ate this time round were all very salty. At the end of the meal, he had to gulp down 5 cups of water just to quench his thirst! 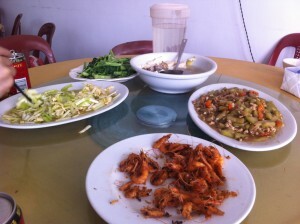 Nonethless, the dishes were very delicious. However, not all food found in China have strong flavours. There are some dishes that are blander to accommodate the taste buds of people who prefer to have a less flavourful diet. These factory visits definitely enriched our staff’s experience and also strengthened the working relationship that ODMasia has with their business partners in the Mainland. If you’re interested in sourcing for promotional products in China or conducting a quality control check, ODMasia is definitely your dedicated buying office! Feel free to contact us and our friendly sales staff will be glad to assist you. How to make Custom Plush Promos in China!